Our goal is to connect people with the best local experts. 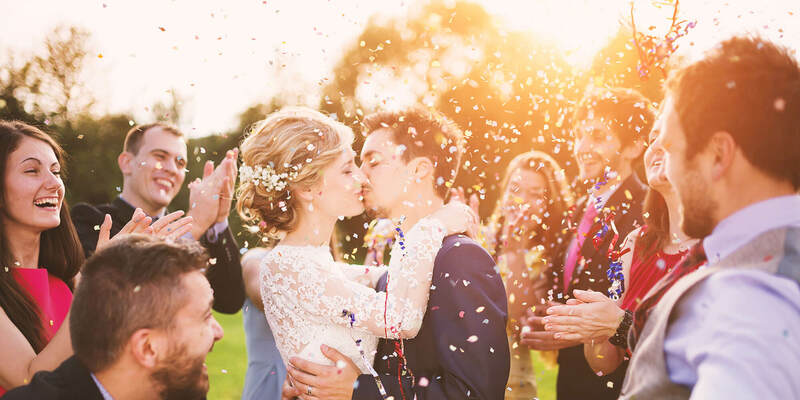 We scored wedding photographers on more than 25 variables across five categories, and analysed the results to give you a hand-picked list of the best wedding photographers in Escondido, CA. Cary Pennington Photography is a Solana Beach business that has been serving clients for more than 11 years. Areas the business serves include Orange County, Del Mar, Rancho Sante Fe, Encinitas, La Jolla, Los Angeles, Carlsbad, Carmel Valley, and Solana Beach. Cary Pennington Photography also travels for destination weddings. Cary Pennington Photography provides wedding photography, senior portraits, and family portraits. Wedding packages include an engagement session, two photographers, edited images in sepia tone, black and white, color, and vintage, and access to an online gallery. Other options are thank you cards, save the date cards, and albums. Family and senior portrait sessions are 45 minutes long and headshot sessions are 30 minutes long. Clients remark on their talent, passion, responsiveness, professionalism, quality of work, and creativity. Jamie Moore Photography is an Escondido, California based photographic company that works throughout the greater San Diego area. Owner and operator Jamie specializes in a variety of different areas of photography, including newborn studio sessions, wedding photography, engagement party shoots, and portraiture of all types. She assists patrons with both wardrobe and makeup selections and edits all photos as well. Jamie Moore Photography has experience working with on location sets and natural lighting to generate authentic, realistic images of all types. Prospective clients can contact Jamie Moore Photography by phone or email to request an appointment or to receive a pricing consultation. Jax Connolly Photography is a professional wedding photography studio based in Fallbrook, California. In addition to wedding photography, Jax also provides services for surprise proposal, engagement, anniversary, and lifestyle maternity/newborn photography. Jax is a visual storyteller, and by using a natural light photography style, she captures the details and natural moments of her clients’ experiences in a timeless fashion. Her process begins with getting to know her clients, and throughout the experience, she guides them through each pose and provides a timeline along with tips to keep them fully prepared so that she can capture their true essence and create beautiful memories. Jax’s clients speak highly of her for her professionalism, level of attentiveness, and friendliness. Jody Lynn Photo & Video is a Del Mar, California based photographic company that works in a wide range of different areas of photography. Owner Jody Pinchin has been photographing professionally since 2001. She is a graduate of the Brooks Institute of Photography in Santa Barbara and has a great deal of experience working with camera and editing techniques of all types. Her work has been featured in a variety of different magazines, including Del Mar Lifestyle, Ranch and Coast, and the Del Mar Times. Interested clients can contact Jody by phone or email to schedule an appointment or request a pricing consultation. Lauren Natalie Photography is a photography company in Rancho Santa Fe, California, specializing in wedding photography, engagement photography, and portrait photography. Their portraits include family photography, lifestyle photography, and headshots. Lauren Natalie Photography gets to know their clients so that come wedding day, the photographer will not only capture them as a mere photographer but someone who knows them well. They love capturing the intimate, real, funny, emotional, lovely, and fleeting moments that make up the couple's special day. Lauren Natalie Photography travels for weddings and has traveled the world to document wonderful stories. Lauren Natalie Photography has gone to places like France, Chicago, Denver, Los Angeles, San Francisco, Anna Maria Island, Tucson, throughout San Diego, and beyond. Michael Lawrence Photography is a Southern California based photographic studio that specializes in wedding and portrait photography. Owner and operator Michael Lawrence has been shooting professionally for over six years. Interested clients can contact Michael Lawrence Photography by phone or email to book an appointment or to request a pricing consultation. Michael maintains an extensive gallery of past client images on his website and social media pages for the benefit of inquisitive patrons seeking to visualize the type of work the company produces. In addition to weddings, Michael Lawrence Photography has extensive experience with engagement photo sessions, professional headshots, and family and lifestyle images. Zelo Photography is an Escondido, California based photographic company that works in a variety of different areas of photography and has a sundry of experience shooting images with all manner of photographic equipment. Zelo Photography provides both commercial and personal portraiture services, including wedding photography, family pictures, and engagement photo sessions. Zelo Photography has over 17 years of photo experience and utilizes natural lighting and on location settings to generate authentic, realistic portraits of its clients. Prospective customers seeking to arrange a photo shoot or obtain a pricing consultation can contact Zelo Photography by phone, email, or through the company's various social media platforms.